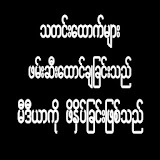 ကၽြန္ေတာ္တို႔လူသားေတြ ေနထိုင္ၾကတဲ့ မိခင္ကမ႓ာႀကီးသည္ ပ်က္သုဥ္းေနသည္ကို ဒီအတိုင္းပဲ ၾကည့္ေနၾကေတာ့မွာလား ??? lawn mowing . by lawn mower..
you have to wear goggles mate.. wear goggle. get it from ‘ toy store ‘ if you don’t have ‘ decent one ‘ . it is vital to wear goggle. and also ear covers too. eyes are very important organs. and this myanmar does not have good emergency eye-care service. don’t just think of ‘ dust in the eyes ‘ only. NO Eye Goggles……No Lawn Mower ‘ ……………that is the motto. NO EYE GOGGLES .. NO LAWN MOWER. don’t just mention in the article for ‘ mainbody of article ‘ . So,why don’t you donate them to some goggles mate?And go and teach them to or share your lawn mowing experiences .MM is not Ausie mate.